In an image reminiscent of the historical photo of Buzz Aldrin’s boot print in the lunar soil, Curiosity leaves a wheel scuff in a wind-formed ripple at a site called “Rocknest”. 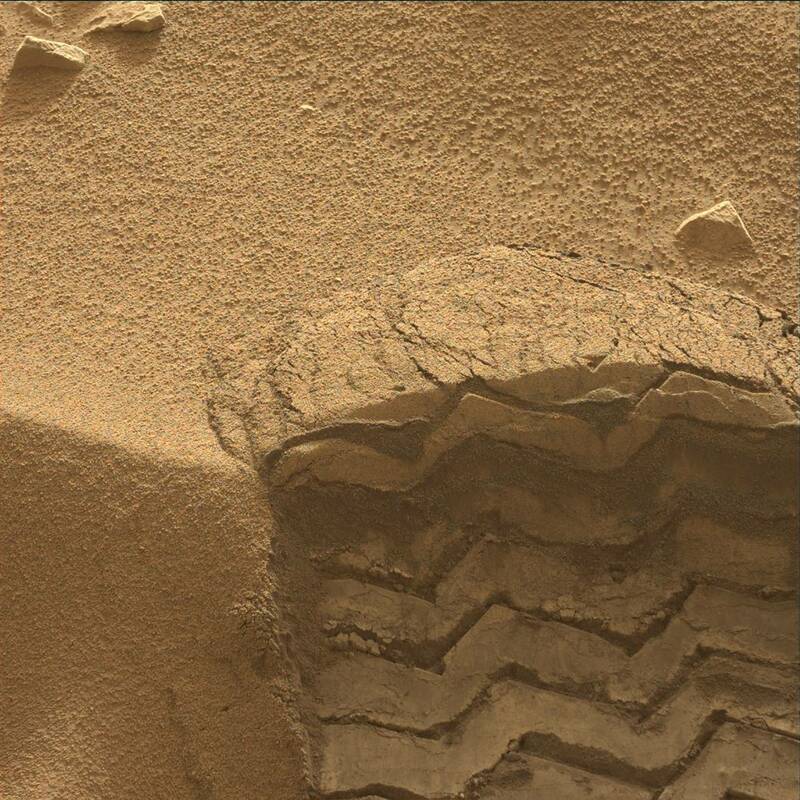 The rover’s right Navigation camera took this image of the scuff mark on the mission’s 57th Martian day, or sol (Oct. 3, 2012). 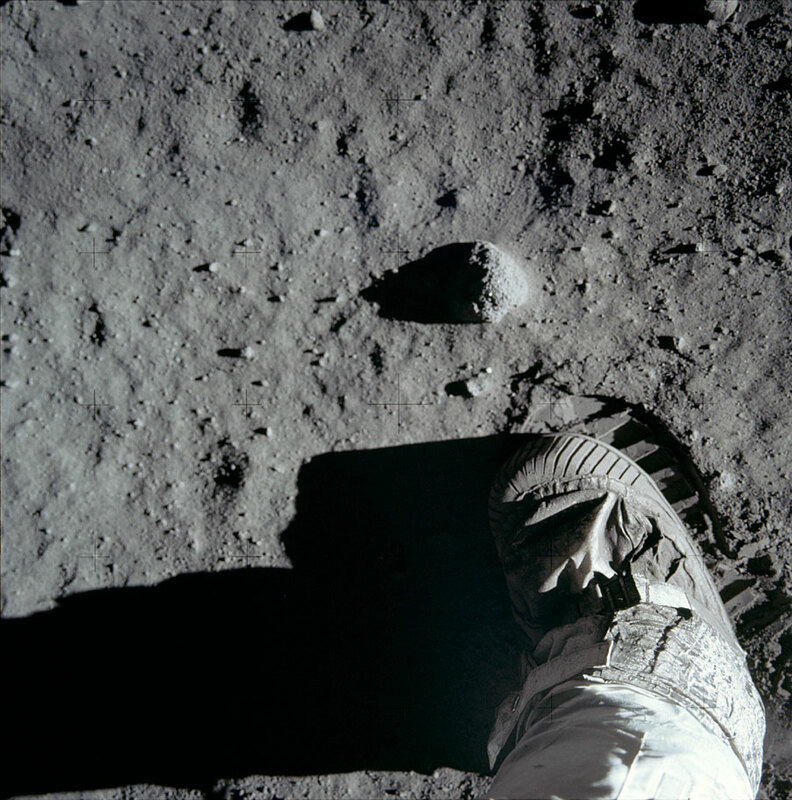 For scale, the width of the wheel track is about 16 inches (40 centimeters)… about twice the width of Aldrin’s bootprint. Want a closer (and color!) look at the wheel mark? Click here. 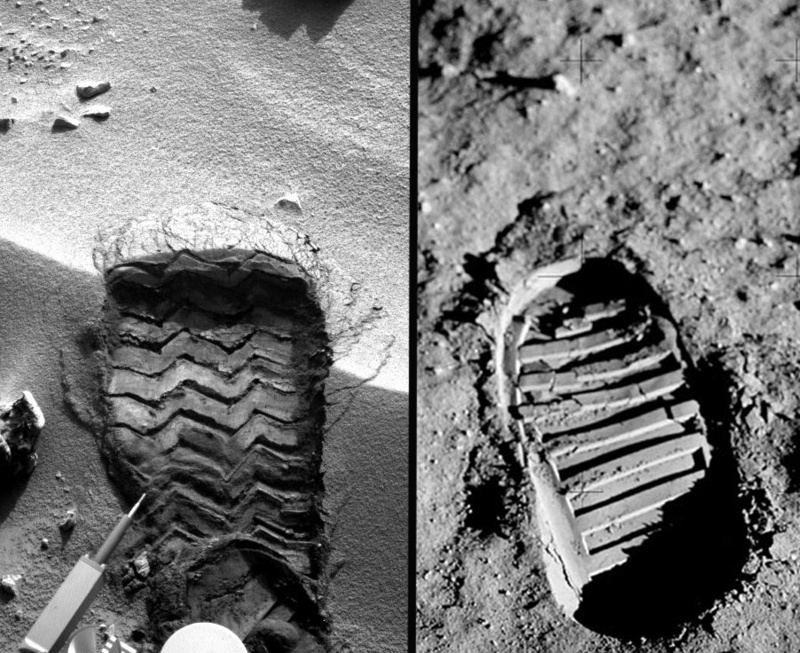 Aldrin’s lunar boots, as well as Armstrong’s (and all the Apollo moonwalkers besides Cernan and Schmitt) are actually still on the Moon, but their multiple layers of fabrics have likely turned to powder under the constant barrage of UV radiation. And when a boot print of the first man on Mars ? ?